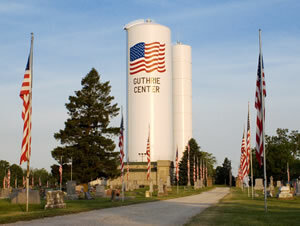 The Guthrie Center City Council met in regular session Monday. The Council selected a target area for a housing rehabilitation grant application through Region XII. The area includes homes between North 1st and 5th streets. The southern boundary of the area is Grand Street, while the northern boundary is Guthrie Center Elementary School. City Administrator Laura Wolfe tells Raccoon Valley Radio the neighborhood is one of the original ones in Guthrie Center, so it’s a good candidate. The area has 144 homes, nearly twice the size of each of the other two areas. The Council also discussed a stop sign at 4th and Park streets. Though some residents voiced concerns and called for its removal, the Council decided to leave the sign as is. They also approved a garage permit for a private resident and two new outlets for the City pool.